Weight loss resistance can occur when you develop or already have a preexisting metabolic imbalance that makes losing excess weight and maintaining your results nearly impossible, even when you are trying hard to eat less and exercise more. You don’t feel good about your weight or appearance, and you don’t feel good about yourself. While most of us on a weight loss mission concentrate on lowering fat intake, many of us fail to consider the role refined sugar plays in contributing to our growing waistlines. Although we are concentrating on eating healthier and avoiding foods high in sugar, most processed sugars are often hidden under different terms on the packaging. Sugar can be identified as maltose, glucose, dextrose, fructose, sucrose, molasses and even honey. With no value to us nutritionally, sugar is basically an empty calorie. Because sugar contains no essential vitamins or minerals, we are simply stealing from our bodies’ other sources in order to break down the sugar, instead of burning fat and building muscle. Hence, we are taking away from our fat burning ability, just to counteract the useless calories we have just ingested. Not only does sugar contain no nutritional value for us, it also causes our blood sugar levels to rise dramatically by a sudden drop in insulin. This leaves us feeling low and lethargic. We also feel hungry (often for something more sweet) to accommodate for the loss in energy, which then drives us to eat more than what we need, but without the energy or motivation to burn it off. So avoid sugar like the plague, it is NOT good for you! In fact, processed sugars are completely void of any benefit to our body. Instead, look for food that is high in the nutrients that your body craves. 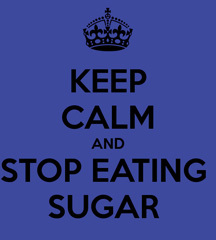 The body changes sugar into 2 to 5 times more fat in the bloodstream than it does starch. Can cause an insulin drop (following a surge) which can leave us feeling tired and hungry (usually for something else very sweet) . This also sets the stage for insulin resistance and diabetes, long term, if habitual. Needs valuable vitamins and minerals to digest, which our bodies draw from existing stores reserved for other roles- such as fat burning and muscle building. 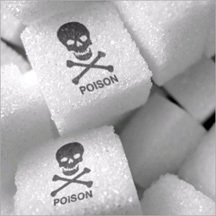 Additionally, it is believed that an excessive consumption of sugar plays a role in the formation of many diseases. Are you doing everything right, but don’t know what’s wrong? Learn how our new personalized weight loss and body-contouring program can help restore your health and create the conditions you need for permanent weight loss. At PATH Integrative Health Center, Dr. Rooks uses Functional Medicine, an integrative approach to helping people overcome diabetes, hypothyroidism, weight loss resistance, fibromyalgia, chronic fatigue, and other conditions for health recovery and restoration. She is skilled and experienced at finding and addressing the root physiological, biochemical, hormonal and neurological imbalances causing the poor health status of people today. Next Story → You won’t be punished for your anger, but you will be punished by your anger.